Cette île unique de 37 miles carrés est divisé en deux pays distinctif séparé de et a le meilleur des deux monde a à offrir où le français et le néerlandais bénéficient d'un mélange de gens merveilleux, des plages, des casinos, des boutiques duty free et une cuisine gastronomique et beaucoup plus. Situé au seuil de l'aéroport international Princess Juliana et idéalement situé au cœur de la vie nocturne à la Maho Village; cette location de vacances isolée est l'endroit où tout le buzz et l'excitation qui se passe au sein de son large éventail de boutiques, de magasins de bijoux, restaurants, casinos et une variété de lieux de divertissements nocturnes tout dans une courte distance de marche de La Terrasse. À distance de marche, vous pouvez passer la journée à la plage qui est à quelques pas de la célèbre Sunset Bar de la plage se détendre, lire un livre, jouer au golf ou tout simplement en regardant le beau site des aéronefs de l'approche à l'atterrissage sur le seuil de l'aéroport Princess Juliana. Comme la soirée installe; vous pouvez profiter d'un dîner et des spectacles à la place de numéro un chaud sur «le café de Cherri 'l'île, tentez votre chance à la prochaine porte située Royal Casino ou danser toute la nuit au plus parler de boîte de nuit sur l'île« Tantra ». Cette unité isolée, tranquille offre une sécurité 24 heures. Nous vous serions reconnaissants si vous ne fumez pas à l'intérieur des chambres; Veuillez fumer à l'extérieur des chambres et sur les balcons. Désolé, les animaux domestiques ne sont pas autorisés. Nous vous souhaitons un merveilleux et des vacances de remplissage amusant. Terrific 1 bedroom condo, steps from Maho Beach. Roger's condo was one of the lucky ones that didn't get damaged in the 2017 hurricanes. While repairs to the building are ongoing, we didn't notice any disruption or noise. That said, one should understand this island was thoroughly thrashed by Irma and maria... many stores are still closed, but you can see it's coming back. We had no trouble getting anything, and we cooked half our meals at the condo, and ate out the rest of the time. Highly recommended! Now that we are back in business after a devastating hurricane, we are more than happy to provide our customers with a safe and clean environment. Lots of work were undertaken and many businesses are reopening their doors. Thanks for your honesty and we are surely looking for potential customers like you returning to visit our Island. This unit is very clean and perfect location in Maho. Can walk to Maho Beach and Mullet Bay Beach. Driftwood Bar just across the street with the best pizza. 3 Amigos great place to go for Margarita's and Rialto's had delicious homemade pasta. All right there!! Being on the 3rd floor is a great view also!! Would recommend it by far. The owner is so nice, always willing to accommodate you! Thank you so much for your return visit after hurricane Irma. Happy to know that you had a good time visiting most of the entertainment places in the area that are all within walking distances. It is a great pleasure to hear such a nice compliment after all the hard work in providing you with an unforgettable place to relax. Great location near a variety of restaurants, beaches, bars and casino. The condo is very clean and overlooks the botanical garden and pool area. My husband and I will definitely return I also want to say thank you to Roger he was attentive and great to do business with. Thanks for choosing our beautiful condo unit located at La Terrasse where all the excitements are within walking distances and to have sheared your experience. Glad to know that your expectations were greatly appreciated and we do look forward to seeing you again. Roger is the best ! We are very much please with the great satisfaction you've enjoyed at our condo unit and looking forward to seeing you again. 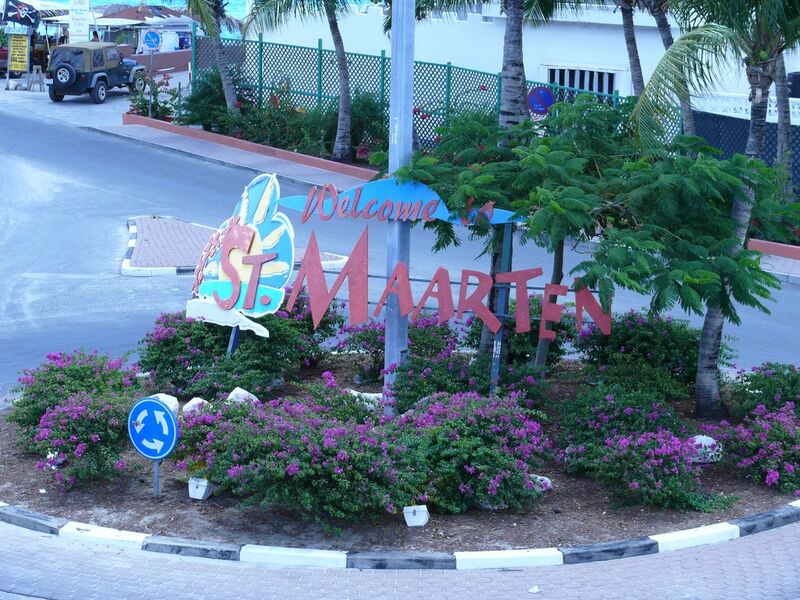 We have been to St. Martin 4 times. We love the Maho area for our stay. This was our first time at Roger's condo in Maho. It is in a perfect location. It is very clean and has everything you need. Roger called to make sure everything was ok. We love the view from the balcony and the pool. Would recommend this place to anyone. We plan on coming back next year! We would like to thank you for your honest opinion/review and satisfaction during your stay with us. We are so happy to know that you had a great time and that we have met your expectation. It was certainly a pleasure having you stay at our beautiful condo unit and looking forward to seeing you again in the future. When we first walked in it was very nice, but was damp and musty. Very clean, most things you would need including dish towels,paper products, and soaps. The bathroom had towels and wash cloths beach towels were provided and switched at front desk. House keeping if you wanted was an extra charge. The ocean view is great. Very nice pool area. You are right next to the airport for plane viewing which we wanted. They even have a viewing deck area where you can reach out and almost touch the planes. It can have airplane noise during the day(which we love) but quite quiet after 7pm. We were very happy with our decision. The pull out couch was uncomfortable. But the next am. We had a visitor in the bathroom, a roach. There was spray under one of the cabinets and knowing this is the Caribbean I figured you may see one. So we sprayed around the room. But when we came back to the room they were all over. We were very upset and called roger. He said he never had a problem like this and said they have bug control monthly to prevent any problems like this. I told him I wouldn't stay there and he immediately made other accommodations for us. Roger was honest and wonderful to deal with. So it is hard to review this but I felt I had to be honest about the roaches. The other room he provided was very nice, and had no problems. We would like to thank you for chosen our vacation rental unit and also a big thank you for your honest opinion about my self as a proud and very clean home owner. Your experience and dissatisfaction was beyond our control and it is with your positive feedback that we took immediate corrective action to remedy the situation so that it never happens to you or any other potential customers in the future. We sincerely do apologize for any inconveniences that you might have suffered. Cette unité de condo est situé à La terrasse dans le village Maho où toute l'excitation et la vie nocturne sont à distance de marche. En face se trouve la station Royal Islander et Sonesta où vous pouvez également partager tous les privilèges qu'elle a à offrir.